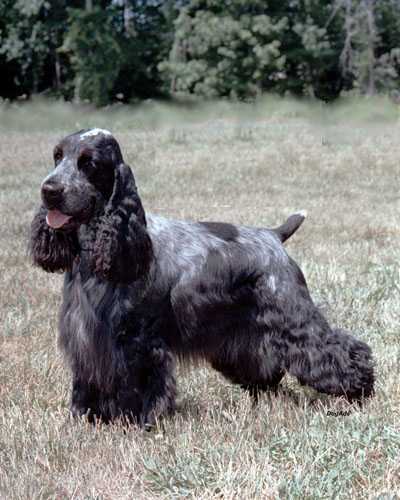 Basically the English Cocker differs from the American Cocker in that the AC has rounded eyes, a rounded skull, a more pronounced stop, and a shorter muzzle than English Cocker Spaniels. However, it will usually take a breed expert to point out these differences. They are natural retrievers and built to travel into underbrush. 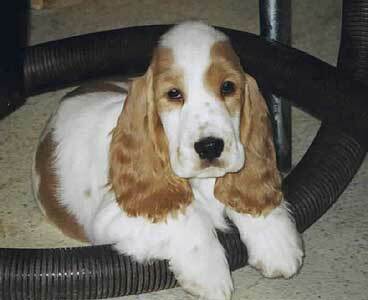 A well trained and socialized English Cocker will make a fine family pet, tolerant of children and other pets. Regular brushing is a must with more intense brushing after a romp in the field. Check their ears often for any signs of infection. Curley or flat Moderate Good with children that don’t tease. Good companion. Owner must remain dominant.